up with €6bn to invest, and CVC which identified a demand of €25bn-€30bn from investors while raising its new €16bn fund last year. The flood of cash, fuelled by low interest rates on other asset classes, is putting pressure on the funds, due to the increasing amount of unspent capital and consequent unrealized value. In fact, the wave of money might make it easier for managers to raise new funds, but the extra competition also makes it harder to find attractively priced companies to invest in. Regarding the dependence on debt, no one is currently predicting a freeze in debt markets as happened a decade ago, but a prospective increase in interest rates is a concern that could create adversities for the industry. 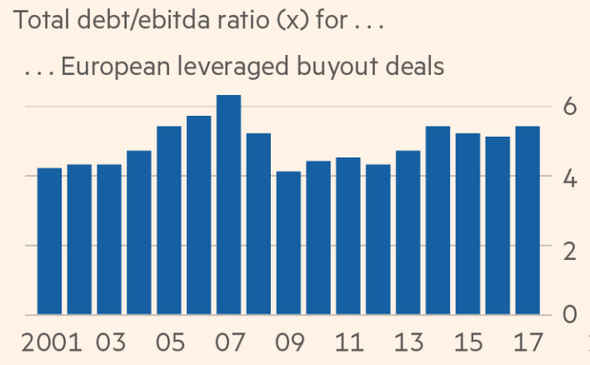 The benign outlook for the industry is that even with good deals harder to come by, private equity will still be able to produce better returns than most other asset classes. ​It will be important to see how the future rise in interest rates will affect the supply of money in private equity and the returns of the capital markets, influencing the outcome of the industry bubble.